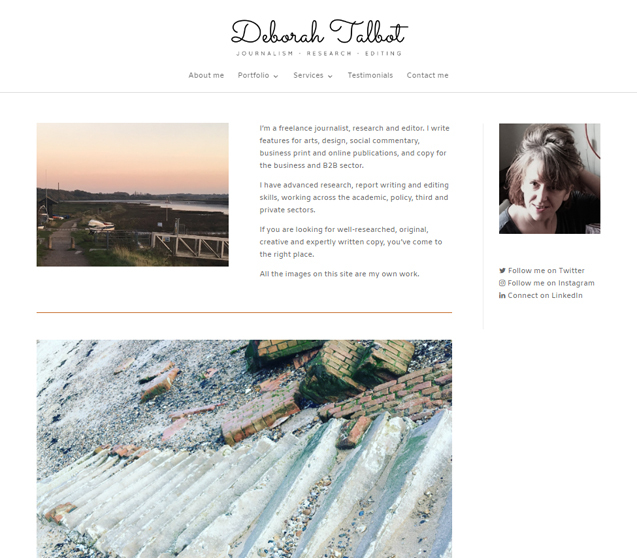 Journalist, Deborah Talbot required a clean, modern site to highlight her portfolio and copywriting services. Emily did a great update on my portfolio and business website, giving it a more professional feel as well as some unique design features. The result is an excellent balance between the creative and commercial side of my business. And it’s worked too – the new site has generated noticeably more views and clients. Thank you, Emily.